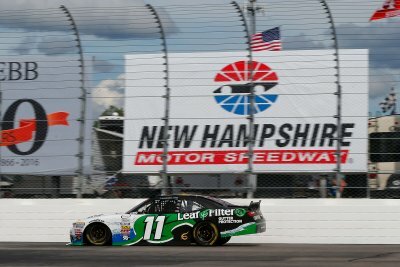 Blake Koch at New Hampshire Motor Speedway… Blake Koch has five previous starts in the NASCAR XFINITY Series (NXS) at New Hampshire Motor Speedway (NHMS). His best finish of 18th came in 2011 after starting 25th. Koch earned a track-best start of 11th in this race in 2016. The West Palm Beach, Fla. native was running 11th when he suffered a broken transmission with just under 50 laps remaining in the race. Koch was forced to retire from the race, relegating him to a 32nd-place finish. 2017 Season… Koch is currently 12th in the NXS Championship standings after 16 races. He has recorded one pole position, four top-10 starts, one top-10 finish and six top-15 finishes. Last week at Kentucky Speedway, Koch started 19th and suffered damage at the initial start of the race when the field stacked up in front of him. With considerable damage to the car, Koch was able to salvage a 23rd-place finish. Blake Koch NXS Career… Koch makes his 197th NXS start this weekend at NHMS. To date, Koch has a career-best NXS starting position of first at Talladega Superspeedway (May 2017), and a career-best NXS finish of eighth at RIR (April 2016), Bristol Motor Speedway (August 2016) and Phoenix International Raceway (November 2016). Meet Blake…Koch will meet fans and sign autographs at the LeafFilter Gutter Protection display at NHMS on Saturday, July 15th at 2:00 p.m. ET. Tune-In… The 200-lap NXS Overton’s 200 from NHMS will be televised live Saturday, July 15th, 2017 at 4:00 p.m. ET on NBCSN and will be broadcasted live on the Performance Racing Network (PRN) and SiriusXM NASCAR Radio channel 90.